This is a sponsored post written by me on behalf of Potatoes USA. All opinions are 100% mine. This year, I transitioned from using gels as fuel on long runs and races to whole foods. 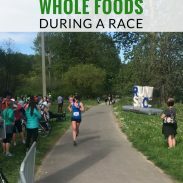 Many of the runners I work with use whole foods as well. 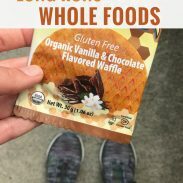 One question I’ve received about fueling with whole foods regards flavor – what are some good options if you prefer savory to sweet? The answer? The humble potato. Whether you choose russets, reds, or yellows, the potato is an ideal option for a savory real food to fuel athletic performance. In terms of nutrition, a potato provides what you need, such as, a way to replace calories during a long race or run. A medium potato with the skin provides 110 calories, 26 grams of complex carbohydrates and 620mg of potassium (that’s more than a banana!) A medium potato is similar to the calories and carbs found in a gel or serving of chews – but in a natural way so even your stomach feels good about it. 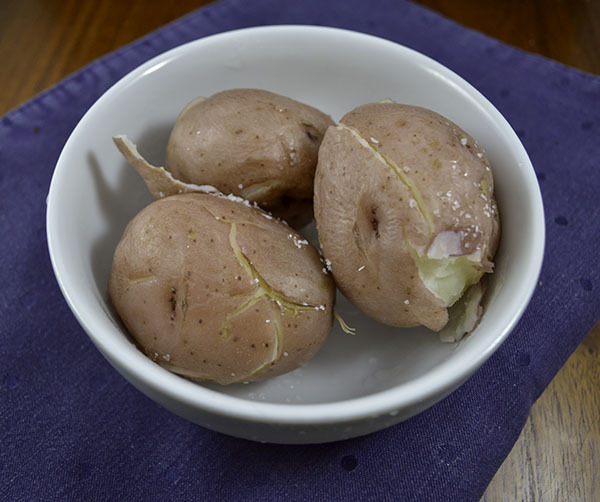 Instead, potatoes have neutral flavor and are easily digestible. In addition to its naturally-occurring potassium, I find my potatoes best served salted – which means you are consuming sodium to replace the electrolytes lost in your sweat. Sodium and potassium are the two most important electrolytes for hydration during a run. Potatoes fit into almost any type of diet, as they are naturally gluten-free, vegan, and dairy-free when prepared as such. The lack of potential gut-irritants makes them an ideal performance food, even for the most sensitive-stomached runners. Potatoes can easily be incorporated into your diet as performance foods in three ways: pre-race dinner, pre-race breakfast, and mid-run fuel. Forget the pasta dinner, which can leave you feel stuffed and sluggish the night before your big race. A salted baked potato provides easily-digestible carbohydrates coupled with the nutrients your body needs before a big race – vitamin B6, which plays a role in carbohydrate and protein metabolism, and potassium. Rather than topping your baked potato with butter or sour cream, try Greek yogurt. In short, potatoes fill you up, but they don’t weigh you down before your big race! Your pre-race breakfast is the final opportunity to top off your energy stores before your race. If sugary carbs do not sit well on your stomach, try a simple baked or boiled potato as part of your pre-race meal. A baked potato can be cooked in advance and reheated in a hotel room microwave, making it an easy choice for a destination race. As I mentioned above, the potato can easily be a natural source of carbohydrates during your race. If sugary gels irritate your stomach and fatigue your palate, the savory potato might be a better solution for your fueling needs. In terms of whole foods options, the potato is affordable and versatile. Be creative – try potato cakes, boiled potatoes with salt, or even mashed potatoes in a reusable pouch (a favorite amongst ultra marathoners!). 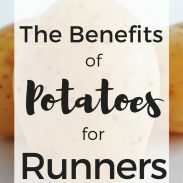 Whether you prefer them as part of your pre-run breakfast or as a savory option for fueling on your run, potatoes are a performance food that can be a staple of any runner’s diet. 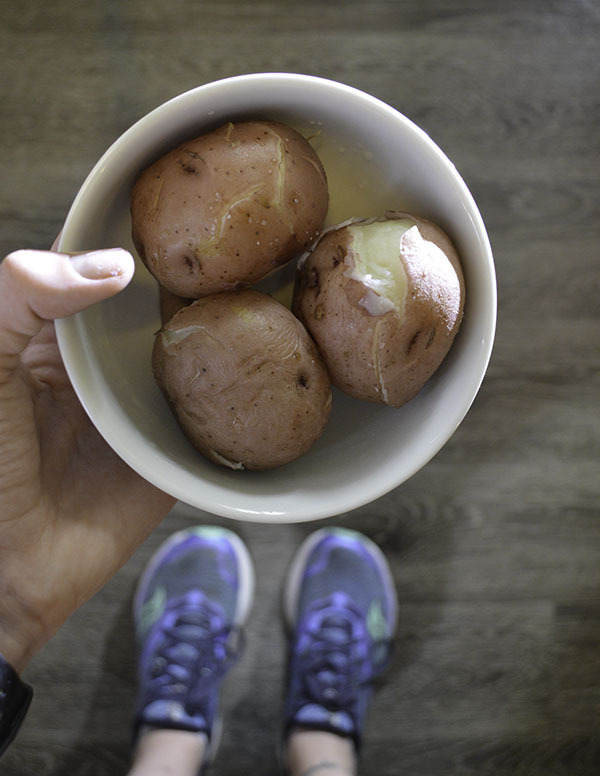 Are potatoes part of your diet as a runner? What whole foods fuel your running?